Marks & Spencer is to develop a series of graphic icons that will be used to highlight the various ecological and ethical credentials of its products, as part of the next phase of its Plan A initiative. The retailer announced the plan yesterday, as it published its 2014 Plan A Report and explained that M&S was extending the Plan A initiative beyond the UK to cover its global business over the next six years. Currently 57% of M&S products have Plan A qualities, which range from Fairtrade and free range, to sustainably sourced and "produced in an eco factory". The retailer has said, that by 2020, all of its products will boast at least one Plan A quality. The retailer is working on a series of icons to indicate how a particular item features ethical or ecological credentials, similar to the existing and widely recognised Fairtrade logo. Once developed, the logos will be used in labelling, as well as alongside products online. An M&S statement said: "The plan builds on the first seven years of Plan A by extending successful commitments and scaling them across M&S operations worldwide. "It further aligns the sustainability plan to M&S’ business plan to be a leading international, multi-channel retailer and includes innovative commitments that are firsts in retail and sustainable business." 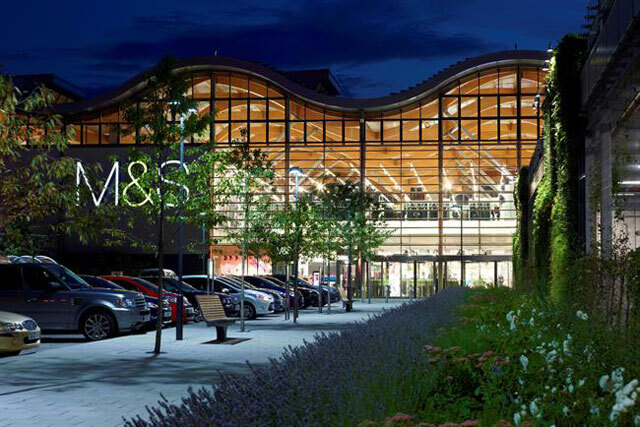 Plan A 2020 commitments include upping M&S’s energy efficiency target from 35% to 50% per square foot by 2020, and for UK stores to raise £1m every year for local charities and £20m for health and wellbeing charities by 2020. Other commitments include ensuring that, by 2020, 50% of the cotton M&S procures is from sustainable sources, and that 75% of all M&S-branded food is sourced from eco- and ethical-benchmarked factories. Marc Bolland, M&S chief executive, said: "Plan A is at the heart of our plans to become a sustainable, international, multi-channel retailer. It’s become a vital part of how we run our business and represents a better way of working that materially improves our customers’ and partners’ experience of M&S. "Once again we have made 100 commitments comprising existing, revised and new targets, with our sights set on significant progress in the next few years."